The Delta 41218-ST Commercial one and one quarter inches by eighteen inches Grab Bar in Bright Stainless Finish like Chrome is part of a series of several ADA (Americans with Disabilities Act) compliant grab bars available from Delta Commercial. This eighteen inch long strong and sturdy grab bar can be mounted vertically or horizontally depending upon the use intended and needs. And has decorative flanges for an elegant appearance. Those who must rely upon assistive bars will appreciate this sturdy accessory, knowing they can trust their weight as they move about a restroom, bathroom, or shower setting. The diameter of the grab bar allows for a firm grip that is comfortable in many positions from pulling, to lift out of a wheelchair; or pressing down to lift higher to stand, or for just the comfort of holding on, knowing one wont slip or fall down. 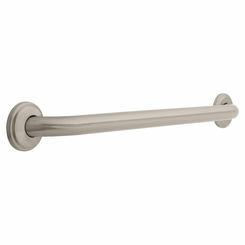 The Delta 41218-ST Commercial one and one quarter inches by eighteen inches Grab Bar in Bright Stainless Finish like Chrome offers such mobility, confidence and freedom to those who rely upon them in our modern world. 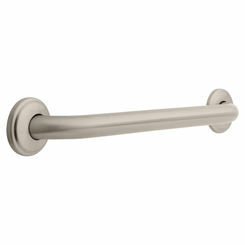 This reliable grab bar crafted with durability and long life in mind is covered by Delta's Limited Faucet and Finish Warranty. 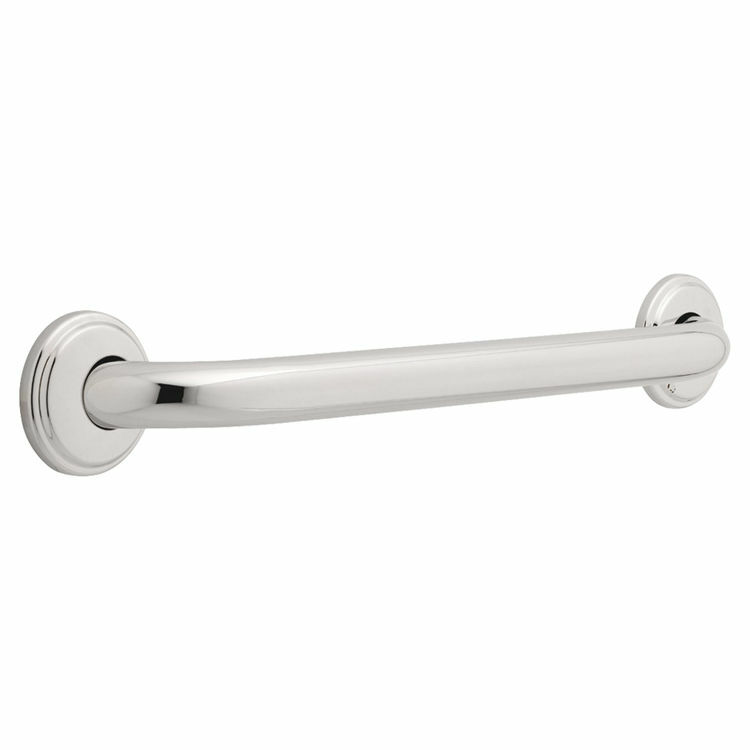 The Delta 41218-ST Commercial one and one quarter inches by eighteen inches Grab Bar in Bright Stainless Finish like Chrome is a useful accessory helping to make our world more safe, and accessible. 5 year limited warranty for usage in all Industrial, Commercial and Business Applications. Wood blocking is perferable behind all wall surfaces, if unavailable use: Tile/Masonary-Plasitc or Lead Anchors Plaster/drywall-Toggle bolts.